Are you suffering from hyperthyroidism or do you suspect you have hyperthyroidism? If so you need to understand ALL of the treatments available to you as a patient. This guide will walk you through the most common hyperthyroid treatments including conventional medications and procedures, the potential side effects and also natural approaches to managing your thyroid. Hyperthyroidism is a medical condition which results in the excessive release of thyroid hormone from the thyroid gland. This release of thyroid hormone, at very high levels, causes all sorts of physiologic problems in your body such as overactivation of your heart, increased release of adrenaline and increased turn over of bone mass. If left alone for long periods of time you may start to develop osteoporosis, an enlarged heart, fatigue, hair loss, weight loss and so on. Because of these negative side effects, it's very important to identify and treat hyperthyroidism if it is present as soon as possible! The most common cause of hyperthyroidism is from an autoimmune disease known as Graves' disease (1). Graves' disease is a condition, caused when your immune system goes haywire, in which you create antibodies (2) which ultimately attack and stimulate the release of thyroid hormone from your thyroid gland. Patients with Graves' disease may have antibodies known as Thyroid Stimulating Immunoglobulins in circulation which can be assessed by standard lab tests. Other conditions, such as toxic multinodular goiter, may also cause hyperthyroidism but these other conditions are not as common as Graves' disease. So how do you treat hyperthyroidism? You block or prevent your thyroid gland from releasing thyroid hormone into the blood-stream. This is sometimes easier said than done, however, because the medications and procedures we have to reduce thyroid hormone may actually swing you from hyperthyroidism into hypothyroidism (you can learn more about this here). There are a couple of different ways to go about blocking thyroid hormone release. The first is to take medication which acts on the thyroid gland itself and prevents the release of thyroid hormone. If you take these medications then you are naturally blocking thyroid release and there will be less thyroid hormone in your blood and your symptoms should stop. This approach usually isn't a long-term solution, however, because long-term use of anti-thyroid medications is associated with some negative side effects. Another approach to treating hyperthyroidism is to simply destroy or completely remove the thyroid gland (3). If you destroy the thyroid gland then it can't produce thyroid hormone and if you remove the gland then obviously it can't produce thyroid hormone either. The problem with these approaches is that they may create a scenario in which you are treating the main problem (hyperthyroidism) but you might be causing further problems down the line. It turns out that we do in fact need our thyroid gland for the production of thyroid hormone! Taking it out, or completely damaging it, has been shown to result in weight gain, obesity, and other complications (4). These complications have to do with the fact that once you damage or remove your thyroid gland you, as the patient, are now reliant upon thyroid medication for the rest of your life. So, after your procedure, you've switched from having too much thyroid hormone to potentially having too little (which is associated with other side effects). Even though this scenario may not be ideal, it may actually be necessary, especially for most people. But because both hyperthyroidism and hypothyroidism can cause issues, it's worth exploring alternative or natural therapies as well as conventional ones. Medications are often the first line therapy to treat and manage hyperthyroidism among patients. The reason is that medications can often be taken very quickly and tend to slow down thyroid effects on target tissues very rapidly. The first includes medications that BLOCK the effect of thyroid hormone on peripheral tissues. Medications in this category include Beta Blockers such as Propranolol. Propranolol helps to reduce the impact that excessive thyroid hormone has on cardiac (heart) tissue by slowing down the heart and reducing the sensation of palpitations (5). It also may help to block the effects of adrenaline which can reduce hand tremors and reduce anxiety. This medication, however, does NOT treat the underlying problem. It's helpful to reduce symptoms, but it does NOT reduce thyroid hormone production. These other medications help BLOCK thyroid hormone production and thyroid conversion. Medications that fit into this category include Methimazole (Tapazole) and PTU. These medications actually act to treat hyperthyroidism (as opposed to simply blocking the symptoms associated with the disease). These medications tend to help swing the patient from the side of hyperthyroidism over to hypothyroidism if the dosing is too high. It can be difficult to manage these medications because it's hard to assess whether or not you are "balancing" thyroid function properly. Because of this, some patients who start Methimazole (and other hyperthyroid medications) begin to experience symptoms such as weight gain, hair loss, fatigue, depression and so on. These are all signs that the dose of the medication may be too much. Medications are often the first line of therapy for hyperthyroid patients, but they usually are not used long-term (partly because of the side effects we just discussed). Some studies have shown that Methimazole may be preferable to long-lasting procedures such as radioactive iodine ablation, but other studies show that they are equal in terms of long-term side effects (6). Another common and more long-term solution to treating hyperthyroidism is the surgical procedure known as a complete thyroidectomy. A thyroidectomy refers to the surgical and complete removal of the thyroid gland. The idea behind this procedure is that if you are unable to manage the secretion of thyroid hormone with medications (listed above) then the next best approach may be to simply take the thyroid gland out. Taking the thyroid gland out is not a free ride, however, and does come with certain consequences. Among those consequences is that the person who has their thyroid removed will have to take supplemental thyroid hormone medication for the rest of their life. Thyroid hormone is a hormone which is NECESSARY for life. Meaning, if you don't have enough you can go into a coma and potentially die. Taking out the thyroid gland may be necessary for some situations, but it is worth considering all your options before you choose this. Patients who take out their thyroid gland may have difficulty with dosing thyroid hormone after their procedure and may gain up to 15 pounds after the procedure. Undergoing hyperthyroid treatment increases the risk of the patient of developing obesity by 32% (7), which shouldn't be ignored when considering your options. If you go into your thyroidectomy with a normal weight or normal BMI then you are much more likely to not suffer from weight gain after the procedure, but those who go into the procedure overweight will likely gain more weight. Radioactive iodine ablation is another therapy that can be used to treat hyperthyroidism. This procedure uses radioactive iodine which enters the thyroid gland and locally destroys the thyroid gland tissue. In most cases, the goal of this therapy is to completely destroy the glandular tissue. Like patients who undergo a thyroidectomy, those who undergo radioactive iodine ablation may be reliant upon thyroid medication for the rest of their life after the procedure. This isn't always true, however, because sometimes the damage is "incomplete". Sometimes the procedure may result in only 50% damage to the gland or 70% damage and so on. 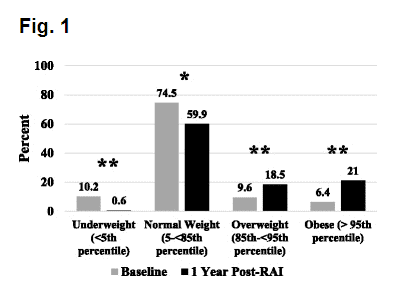 In terms of weight gain after the procedure, some studies show that patients who undergo radioactive iodine ablation are likely to gain weight and become overweight (about double the risk of normal patients) and MUCH more likely to become obese (8) (more than triple the risk of normal patients) based on BMI. Sometimes the procedure is necessary, but these side effects should always be discussed prior to the procedure. Are there natural treatments for hyperthyroidism? Yes, but it turns out that these therapies may not be effective for all patients and they may not necessarily be ideal for certain patients. The natural approach to hyperthyroid management usually includes the changing of diet, the use of certain supplements and even the use of medications. Is it safe to use natural therapies to treat hyperthyroidism? And this is where we need to be careful. It's safe to try natural therapies for ailments provided those ailments will not cause long-term harm if you avoid natural and conventional treatment in the meantime. We don't want to ever use the natural approach if there is a risk of long-term harm to the patient. The issue with hyperthyroidism is that avoiding conventional therapies may be harmful to the body because excessive thyroid hormone production is known to cause cardiovascular issues (heart problems), osteoporosis and other negative side effects. So how are you supposed to approach natural therapies? The best approach may be to use combined therapies. Meaning you can combine the use of hyperthyroid conventional therapies (medications and so on) in conjunction with these natural therapies. No one, at least not in their right mind, would argue that eating healthy, if combined with conventional therapies, will probably cause more harm than good to the patient. But, it might be harmful to you to try and change your diet all while ignoring the fact that you have very high circulating thyroid hormone in your bloodstream as you avoid conventional therapies. This philosophy changes once you undergo radioactive iodine ablation and/or a complete thyroidectomy because now you are no longer hyperthyroid you have now entered the realm of hypothyroidism (you can read more about this concept here). So with these concepts in mind let's discuss some of the natural therapies to treat hyperthyroidism. Dietary intervention is probably the safest and potentially most effective way to naturally treat hyperthyroidism. This is particularly true if you suffer from Graves' disease. Graves' disease, the most common cause of hyperthyroidism, is an autoimmune disease which means that every patient with this condition suffers from an imbalance in their immune system. 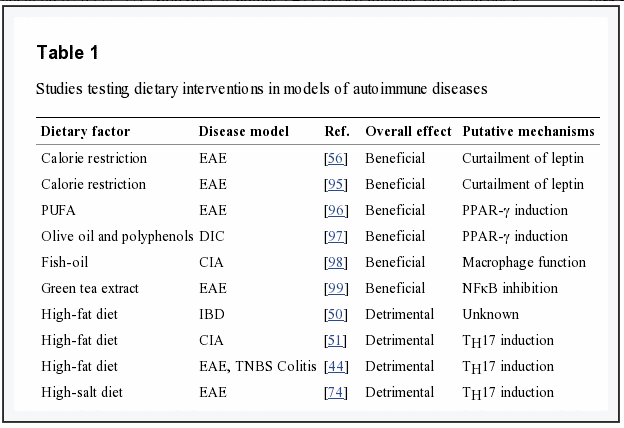 There have been scientific studies which link the development of autoimmune disease to gut dysfunction (increased intestinal permeability) and even food intolerance such as Celiac disease (9). It may, therefore, be a great idea to try and alter your diet if you have hyperthyroidism! The best approach is to avoid certain foods and food groups while including certain healthy anti-inflammatory based foods. We know, for instance, that the "western" diet is high in inflammatory fats, certain proteins, refined sugar, salt intake, and processed or "fast" foods (10). We also know that the consumption of these foods is somehow linked to the increased rates seen in autoimmune diseases. We can use this idea as a starting point to determine how to proceed with diet. There are many diets you can follow which utilize these guidelines and the exact diet you follow is not as important as simply removing these food groups. While this isn't a complete list of foods to consume it should give you a general starting point. You can learn more about which foods to eat and avoid if you have hyperthyroidism in this post. Another therapy which may potentially help treat hyperthyroidism is the use of high doses iodine (the supplement). Iodine is a necessary component of thyroid hormone and a certain amount is required for normal production of thyroid hormone. Newer studies have found links between high and low iodine status in the individual and the development of autoimmune diseases. The exact mechanism as to why this occurs is not well understood but there does appear to be a connection. In this section, we are not talking about low doses (the average recommended dose is around 150mcg per day), but instead large doses of up to 12.5mg per day. Iodine, if taken in sufficiently high doses, has a thyroid blocking effect which can be used to temporarily shut down production of thyroid hormone. 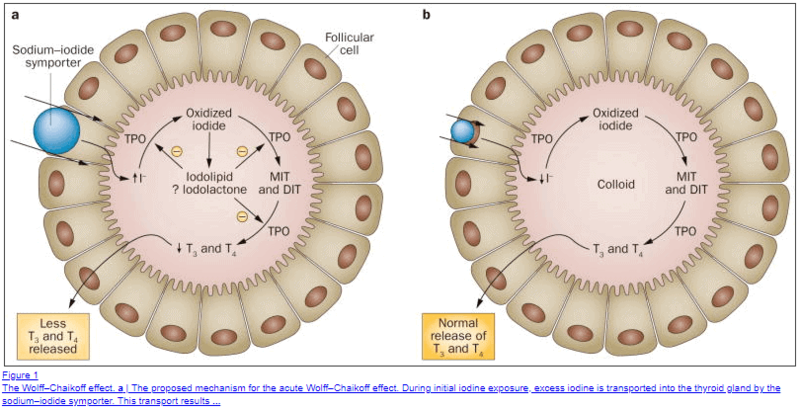 This effect is known as the Wolff-Chaikoff effect and is likely an internal mechanism designed to prevent excessive production of thyroid hormone following a large dose of iodine (11). Using this known mechanism may be a way to temporarily treat hyperthyroidism by blocking thyroid hormone production. It's not necessarily a long-term solution, but it may be effective for the treatment of a flare-up or to help start other therapies. This mechanism is the same mechanism that helps prevent thyroid damage following radioactive exposure and is the reason that iodine is the treatment of choice to prevent thyroid gland damage following this type of exposure (12). Because iodine may temporarily block thyroid function you should not use this therapy without consulting your current physician. In addition, in order for this to be effective, you will likely need to use doses much higher than the standard and recommended daily intake of 150mcg per day. You can read more about iodine supplementation here. LDN is a prescription medication which may be helpful in treating some autoimmune diseases for certain people. LDN stands for low dose naltrexone which is an opioid antagonist. LDN was originally created and used to treat alcohol dependence (13) but recently has been shown to have weight lowering benefits (and is now in the medication Contrave (14)) and may also be beneficial in reducing inflammation. This medication is also used off-label to treat some autoimmune conditions such as Hashimoto's thyroiditis and inflammatory bowel disease (15). Off-label means that the medication hasn't been specifically proven to work for these conditions but some practitioners and patients have found success in using it. LDN would be considered "off-label" for the treatment of hyperthyroidism but it may be worth considering in the case of Graves' disease. Some studies indicate that the use of LDN may help to reduce inflammation which may in turn help to reduce autoantibody production and may, therefore, treat hyperthyroidism. Like other alternative therapies your mileage may vary, but as a relatively inexpensive medication with very few side effects it may be worth considering. LDN also has the benefit of potentially helping with weight loss and helping to reduce insulin resistance which often tends to accompany hyperthyroidism (post-treatment). You can learn more about LDN here. Supplements can also be used to potentially help treat hyperthyroidism. We've already discussed Iodine (which is available over the counter) but there are other supplements as well. If you have hyperthyroidism stick to supplements which tend to support thyroid function such as Zinc and Selenium (16). Supplements that help reduce inflammation such as Fish oil, Turmeric/Curcumin and Alpha lipoic acid. And supplements that may help boost the immune system such as Vitamin D3, Zinc, and Glutathione. Whenever possible you should attempt to target the use of supplements to specific deficiencies in your body. Supplementation for the sake of supplementation is not a great therapy by itself (though many supplements CAN be helpful if used correctly). Hyperthyroidism is a potentially serious medical attention which can be treated with a combination of both natural and conventional approaches. Medical and conventional intervention may be necessary to help reduce symptoms and prevent dangerously high levels of circulating thyroid hormone. Natural treatments and therapies can often be added or "layered" on top of conventional therapies for even better results. The use of both therapies may be sufficient to help prevent or reverse the cause of hyperthyroidism in your body. When it comes to alternative and conventional treatments for hyperthyroidism make sure that you use them only if they won't cause more harm than good. Are you currently being treated for hyperthyroidism? Which therapies have you undergone? Have you used natural therapies with success?